The far reaching effects of the lionfish invasion of the Atlantic and Caribbean are well-documented, and most blame it all on the aquarium trade. It is believed by most that both the intentional and accidental release of a small number of Indo-Pacific sourced lionfish has bloomed into an all-out invasion that is taking a drastic toll on native wildlife. Divers, fisherman, and anyone with a bloodlust for lionfish have done their parts to kill and devour any lionfish they can get their hands on, but it’s a battle that is being lost on all fronts. So, the politicians are stepping in to help out how they can. In a move that should come as no surprise, officials in the state of Florida are considering an all out ban on the importation and aquaculture of lionfish from the Pterois genus. According to Ret Talbot’s latest contribution to Reef2Rainforest, who broke the news just a few days ago, both the Florida house and senate are each circulating identical bills that would target what is believed to be the primary source of the lionfish invasion, the aquarium trade. But the bill doesn’t just stop there. It also aims to employ the aquarium trade by promoting the capture of the fish for the hobby. And that totally make sense to us. There are so many stores that order lionfish from Indo-Pacific collectors, but there is zero reason to not buy a Florida lionfish. Segrest Farms has been selling them for three years, according to the article, and we think more companies should come on board, even if just to kill them. 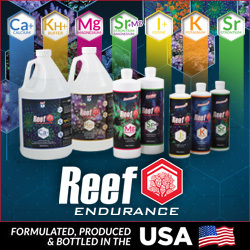 Expanding on that last point, why wouldn’t a fish food company capture as many as they could and turn them into a cheap source of aquarium food? And the possibilities don’t stop there, as there are millions of uses for fish. So why this ban, and why now? As Ret states, fisherman can only tackle one part of the problem…what is already in the ocean. But an all out ban on the importation of the fish would stop them at one of their sources. No, you legislate the fish from doing what they do best, which are eat and reproduce, but you can cut off at least one avenue of invasion. Sure, this effort may seem like it’s “too little, too late”, but again, anything that can be done at this point should be done. 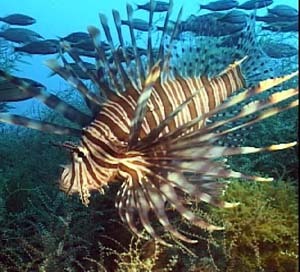 The problem with a ban, however, is that it targets ten species from the Pterois genus while only two make up the invasive species population. The Volitans Lionfish (P. volitans) is said to make up the majority of the invasive fish, being blamed for up to 90% of the non-native population according to the article. Our thoughts on the ban…to our own surprise, we cautiously support it, but in theory only. There is no need for Florida to be importing lionfish, especially at this juncture, and while it may not have any impact whatsoever, it does partly address the problems and could be the right jumping off point for more serious discussions about the invasion.